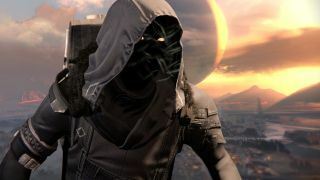 Xur, Destiny 2’s travelling Exotic trader, is back this weekend. And like most things in Destiny 2, the way Xur works is very different this time. No longer selling Exotic gear in exchange for Strange Coins, he’ll now only accept Legendary Shards, as he proffers his wares at locations throughout Earth, Titan, Nessus, and Io. Naturally, this presents somewhat of an immediate problem, in that depending on how you've been playing (or when you started playing), you might not currently have many Legendary Shards, nor any obvious means of getting them. Unlike in the first game, Destiny 2’s long-term levelling and character development doesn’t really kick in until near the end of the campaign, meaning that the means and mechanisms of gear acquisition and evolution won't even start to drift your way until then. In this respect though, we can help you. Because although they might look desperately thin on the ground, Legendary Shards aren’t too hard to come by at all. But be warned that part of the process might be a tad painful if you're at an early stage of the game. The first and most immediate thing you can do is dismantle a Legendary or Exotic item (weapon or armour) by highlighting it in your inventory and holding down Square or X. As with any other item in Destiny 2, this will destroy the original item and give you its constituent parts (see also, getting Gunsmith currency by breaking down weapons), which in this case is Legendary Shards. As you explore Destiny 2's world further after finishing the campaign, you can also get Legendary shards from weekly Nightfall strikes, regional planetary chests, Lost Sector chests, completing Flash-point public events, and in the Leviathan raid. But right now this is your most immediate, sure-fire method. Should you do it? Probably not straight away, if you're not too far in to the game. You’re unlikely to start getting Legendaries until the end of the campaign, so it’s entirely understandable that you might not want to start junking them straight away. Also, you’ll need to use Legendary Shards to Infuse your favourite gear to a higher damage or defense level, so you might want to stockpile until you see how that’s all going to work out. That said, if your current Legendaries are rubbish, feel free.